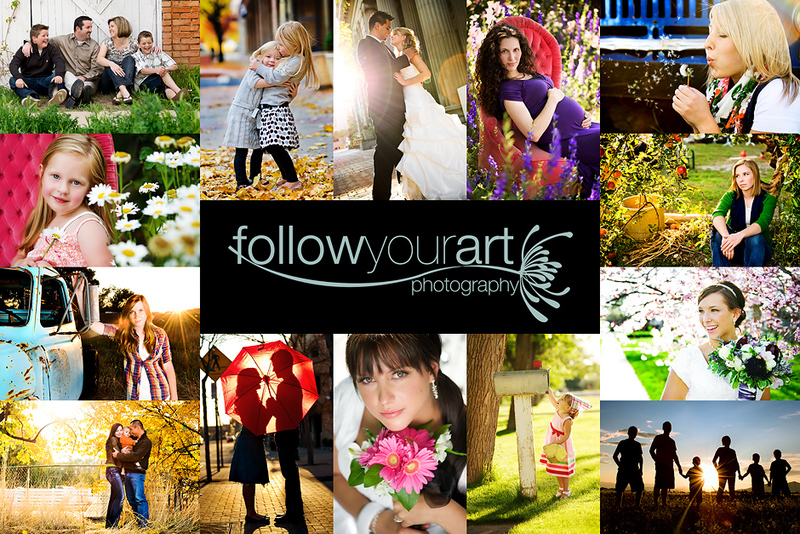 Follow Your Art Photography, Utah Baby, Child, Senior, Family Photography, photographer: Wow! I had an amazing opportunity to work with this awesome couple tonight. I was invited by a friend of mine to help her out. She is in town for their wedding and will be photographing their big day. We had so much fun together shooting and trying new locations. I was just so in love with the light we had and the beautiful location we ended up at. They were such a happy beautiful couple and were so up for anything we asked them to do. Here's one for now. Thanks again Jess, it was so much fun working with you! Tiffany, I had so much fun last night shooting with you and this image is golden! Thank you, thank you for sharing your talents with us! This is beautiful! I can't wait to see more.